Bitbox blocked to US and Japanese customers. Japanese messaging giant LINE is set to enter the cryptocurrency space, launching a Binance-like exchange as soon as next month. The exchange, called Bitbox, will allow users to buy and sell “30 or more cryptocurrencies” at launch, though it will not be available to users in either the United States or Japan. “Bitbox only allows the exchange of cryptocurrencies, and does not accept exchange between fiat money and cryptocurrencies,” the company said in a statement. Chinese exchange Binance operates similarly, allowing customers to buy and sell coins only using other cryptocurrencies, meaning users must first swap their fiat for Bitcoin at a different exchange before transferring that balance. LINE said it would be using know your customer (KYC) to “preclude unintended users” from the exchange. These include “residents of Japan, Japanese nationals residing outside Japan and residents of the US IP addresses [or with US] telephone numbers”. 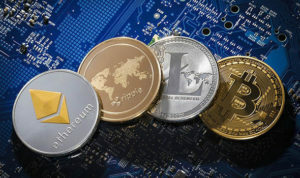 The company did not say why these users would be excluded; however both the US and Japan are presently regulating the cryptocurrency space heavily, and meeting those local rules could push back the planned launch. LINE said it would initially offer the likes of Bitcoin, Bitcoin cash, Ethereum and Litecoin. The move is one of the first forays by LINE into diversifying from the messaging service, for which it is best known, into other areas such as finance, following the lead of messaging apps in other countries such as China.